Tea has joined Vukmir & Associates Attorneys at Law, Ltd in 2017. Her practice areas include commercial and corporate law, including e-commerce, advertising and labor law. Tea has been involved in various legal due diligence procedures, as well as in public offerings of securities assignments. 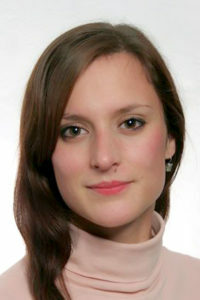 Tea graduated from Faculty of Law in Zagreb in 2014 and further specialized on the Faculty of Law of University of Lisbon and at the University of Tübingen. She joined our team as an associate after working for Mamić Perić Reberski Rimac Law Firm Llc and after finishing the bluebook traineeship with the European Commission in Brussels.